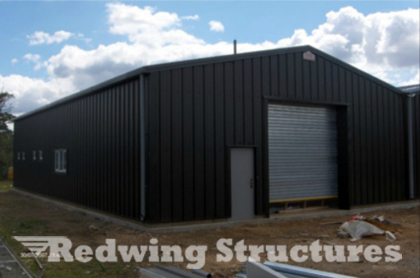 Redwing Structures designed and built a twin span composite clad unit for The Window Flowers Company. Incorporated within the building is an insulated cold store to keep fresh flowers at an ambient temperature prior to arrangement. Staff facilities and rest areas can be planed into such units making them ideal for small business.